Read more"Lake Hopatcong Clean-up Quantities"
Read more"Weed Harvesting Operators in Training"
Lake Hopatcong Fund – Signed! Legislation has been signed by Governor Christie creating the Lake Hopatcong Fund. The legislation dedicates $500,000 annually for the protection, preservation, restoration, maintenance, management and enhancement of New Jersey’s largest state-run lake. The funds will come from license fees required to operate power boats on nontidal waters. 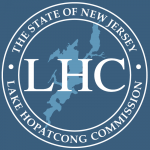 Read more"Lake Hopatcong Fund – Signed!"